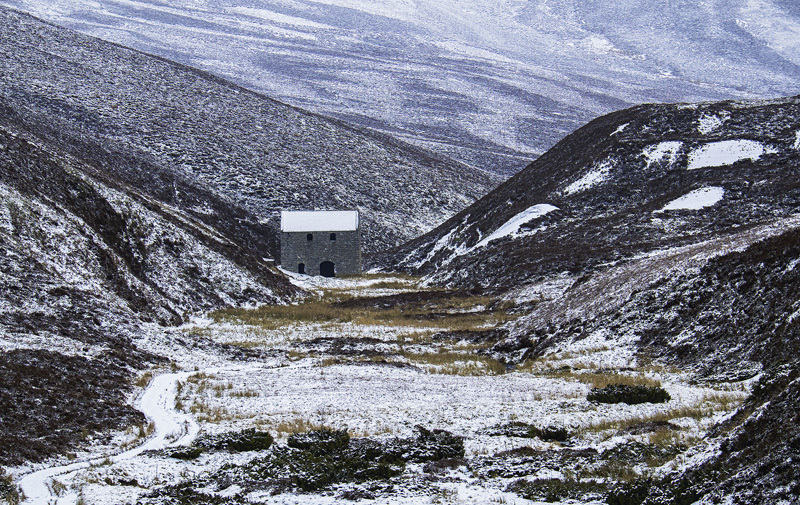 An old abandoned Lead Mill nestled in the folds of the Grampian hills close to the Lecht ski resort normally courts passing attntion from my lens but on this occasion i was really taken by its appearance thanks in no small way to the delicious subtle colouring of grass heather and that confusing texture of patchy snow. In combination with a forbidding snow laden sky that stained the more distant snow covered peaks steely blue I found the picture supremely intriguing and eyecatching. I thought at first a dash of sunlight would help but you know I think not.